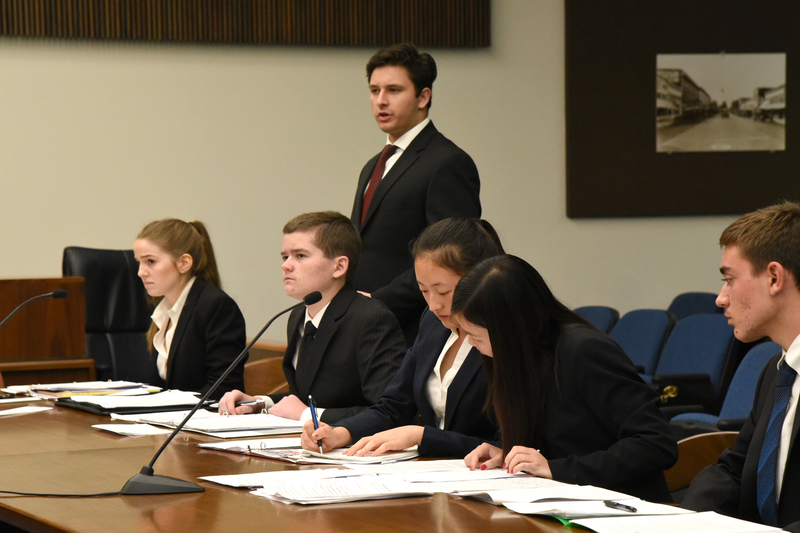 Mock Trial is an innovative, engaging and often life-changing civic education program that combines performance-based, law-related education with tournament-style, academic competition. High school students, working in teams under the guidance of volunteer attorney coaches and teachers, analyze the facts of a hypothetical criminal court case, prepare trial strategy and enact every role in the trial proceedings, as members of either the prosecution or defense. The teams present their cases in real courtrooms before sitting judges and are scored by volunteer attorneys. 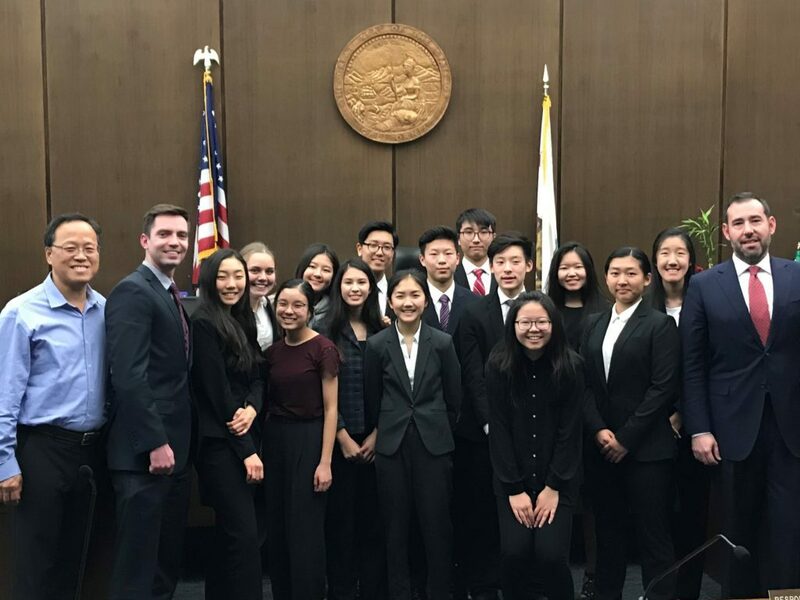 Over 900 high school students from 40 local high schools annually participate in the Mock Trial program that also includes courtroom art and journalism contests. Students develop an understanding of and appreciation for the American judicial system, the rule of law and their rights and responsibilities as citizens. The program builds self-confidence and develops important life skills, including critical thinking, analytical reasoning, effective communication and teamwork. Students learn the importance of following rules and a code of ethics. Importantly, they are provided with the unique opportunity to interact one-on-one with positive adult role models, including prominent legal practitioners. If you are interested in starting a Mock Trial team at your high school, you are encouraged to review the “Frequently Asked Questions” and contact Program Manager Theresa Bernard. 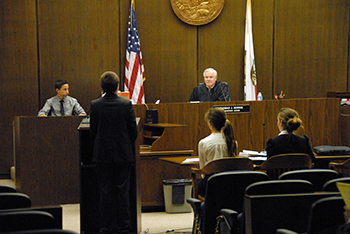 CRF-OC’s Orange County Mock Trial Competition is part of a state and national competition. CRF-OC does not promote or endorse external mock trial competitions and tournaments. Are you interested in starting a Mock Trial team at your school? Attend our informational meeting on Wednesday, May 8, 2019 at the Orange County Bar Association. This meeting is open to teachers only. To RSVP, please email tbernard@crfoc.org. Please RSVP no later than May 3rd. Congratulations to Veritas Classical Academy! Attorney Coaches – Assist teachers and help students plan the strategy for their case, advise them on points of law and provide instruction about courtroom procedures. If you are interested in coaching a team, please contact Program Manager Theresa Bernard. Keep up-to-date with Mock Trial through social media. Follow us @OC_Mock_Trial on Twitter for competition updates and results.